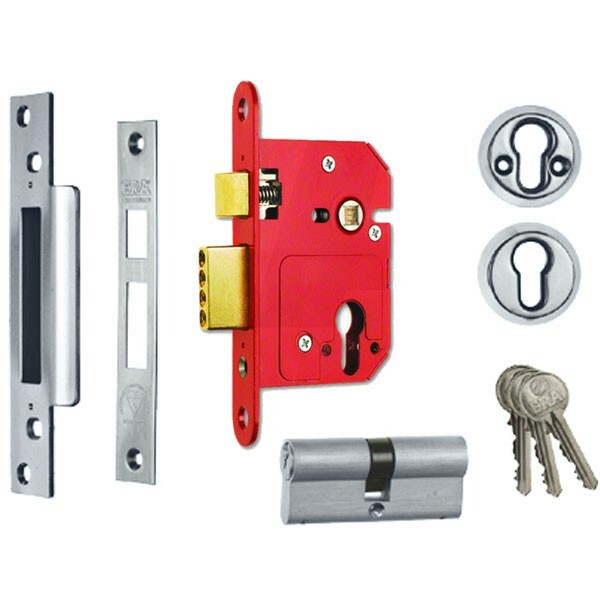 The Era High Security Euro Cylinder Fortress Sashlock comes complete with a High Security 6 pin 70mm (Equal) Euro Profile Cylinder resistant against picking or drill attack. Bolt through heavy-duty security roses protect the cylinder. The Fortress range fully complies with both the European (BS EN 12209) and British (BS3621:2007) standards. Further recommendation from the police-endorsed Secured by Design programme guarantees insurance companies exacting criteria is not only met but exceeded. Higher security levels are delivered by a 20mm bolt throw on every lock, and the Sashlock has hardened steel plates to resist drilling, and four hardened steel rollers in the deadbolt resist hacksawing. The Fortress Sashlock features a pull and twist action latch which can easily reverse the hand of the lock without the removal of the lock cover or screws.